When you are travelling or planning to travel in Vietnam, don't miss Hanoi city where is more than 1,000 years old history. You are not supposed to miss in Hanoi, these attraction are famous such as temples, theatre citadels and wilderness just outside the city where you can enjoy fun-filled days. 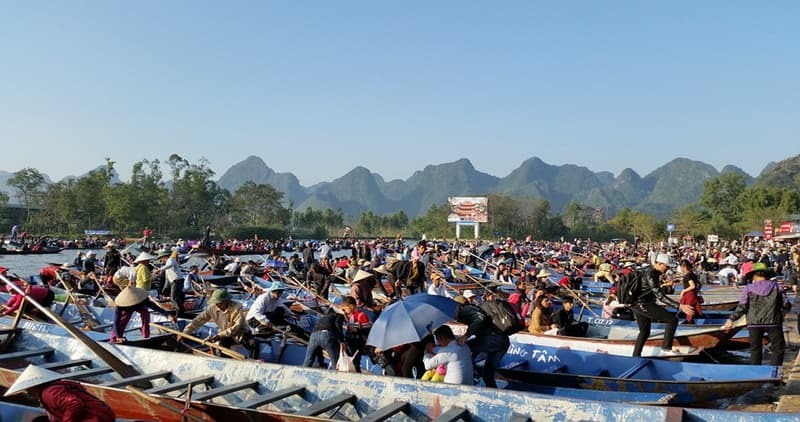 The above sites offer education, entertainment and beauty at different turns, so it is better not to miss these attractions in Hanoi as possible. Just enjoy our list of Top 10 Things to Do in Hanoi below. Ho Chi Minh left an indelible mark in the history of Vietnam, and he is honored as the country's greatest leader in Hanoi. In local area, the local people give appellation called “Uncle Ho” for Ho Chi Minh, which is amiable. Nowadays, his body was kept in a glass case in the Ba Dinh area of Hanoi. This is not only an attraction for tour, but also a portion of living history and a visit here stays long memorable. Hồ Hoàn Kiếm was named "Lake of the Returned Sword" and it is a historic lake, the site of a foundational legend in Vietnam. 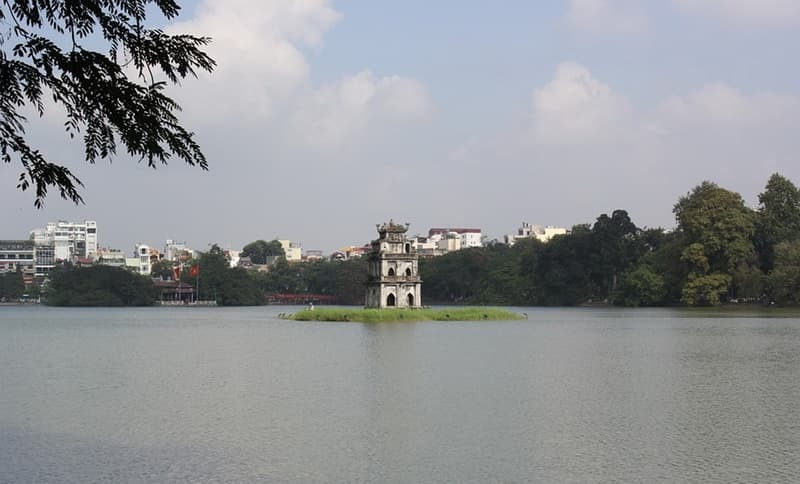 Contemporarily, Hoan Kiem Lake becomes a fascinating social and cultural center for Hanoi citizens – the lake side is a prevalent stop for lover's wedding photographs and a good place for the buffs' morning workouts. Plus, the lake side provides a fine opportunity to take in the local color. Besides, it's an easy walk to the Old Quarter afterward. Then you can see a elegant, red-painted wooden bridge leads from the lakeside to Ngoc Son Temple. Hanoi Old Quarter is a enchanting filed city where tourists can admire many fine examples of colonial architecture packed along cramped streets. Incessant packs of motorbikes, bicycles, scooters and cars weave around traders offering fruit and souvenirs and petty shop houses carrying out tasty Vietnam food for pennies. 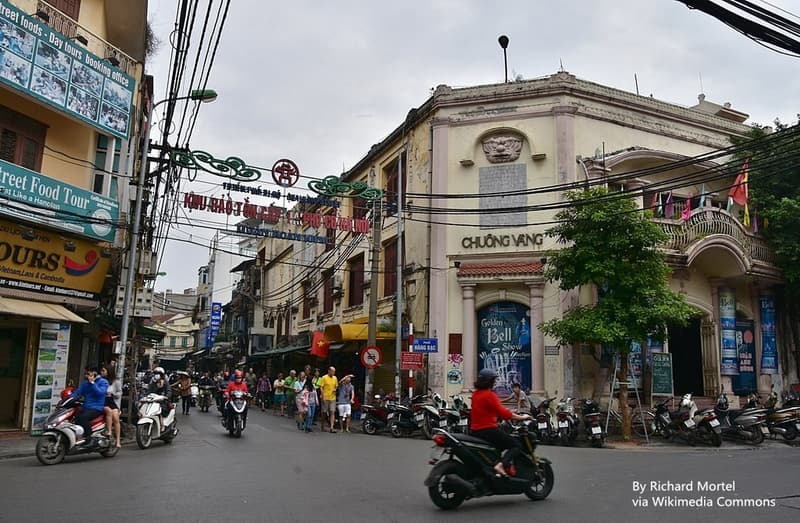 The Old Quarter brings life what many people imagine Hanoi to be and exploring this region on foot is highly promoted for all visitors will have a visit to Vietnam's capital city. 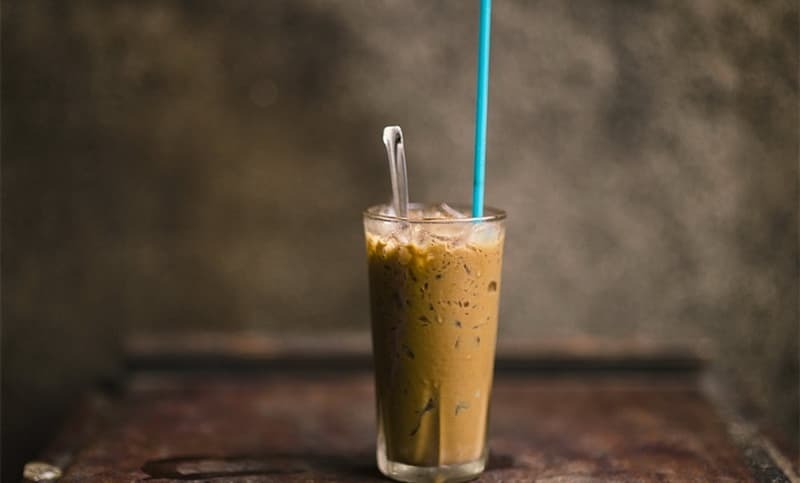 The Vietnam assimilated the coffee culture of France and made it their own featuring reinventing the French press into particularly Vietnam drip filter called phin and using the condensed milk instead of cream. The drink resulting from the above operation is hot, tough and extremely sweet – the consummate fuel for a couple of hours' exploration in Hanoi's Old Quarter. The Coffee shops in Hanoi range from open-air street-side stalls to a High-end place, you can see both side-by-sides exist. The Red River has been the heart of trade and warfare for all of Hanoi's millennium-long history. Nowadays, visitors can take participate in a trip down its length to watch the capital from a different position. When you head east towards the Red River Delta and the sea, the sumptuous views of farmland pass by. You will be attracted by some historic temples like Chu Dong Tu in Hung Yen province. In the heritable manufacturing villages like Bat Trang, you will find the business of producing high quality porcelain of hundreds of year. The Temple of Literature has a 1,000-year-old history for educating and it is the country's oldest university. The Temple of Confucius is composed of five courtyards from south to north. It consists of three passages running through the length of the temple. 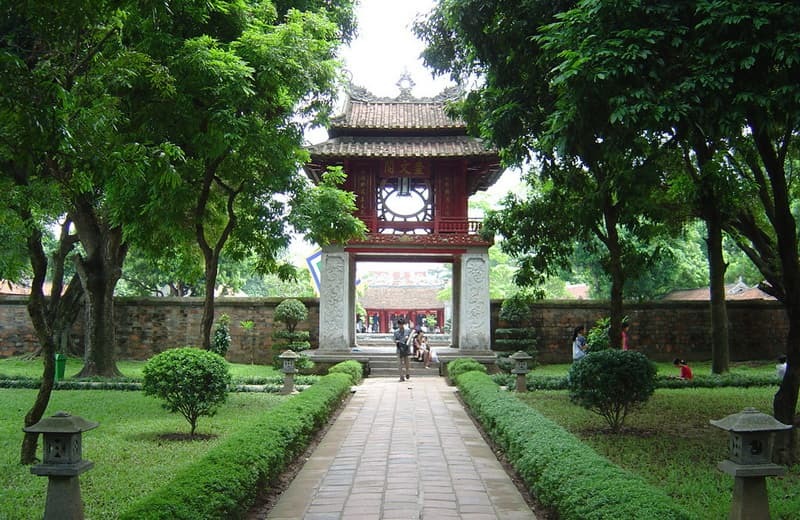 The Northernmost and last courtyard is the former university official site called Quoc Tu Giam, literally the “Temple of the King Who Distinguished Literature” established in 1076. The Imperial Citade of Thang Long is a UNESCO World Heritage Site; and it is an intriguing relic of Vietnam's history, which stands for its historical and culture importance. 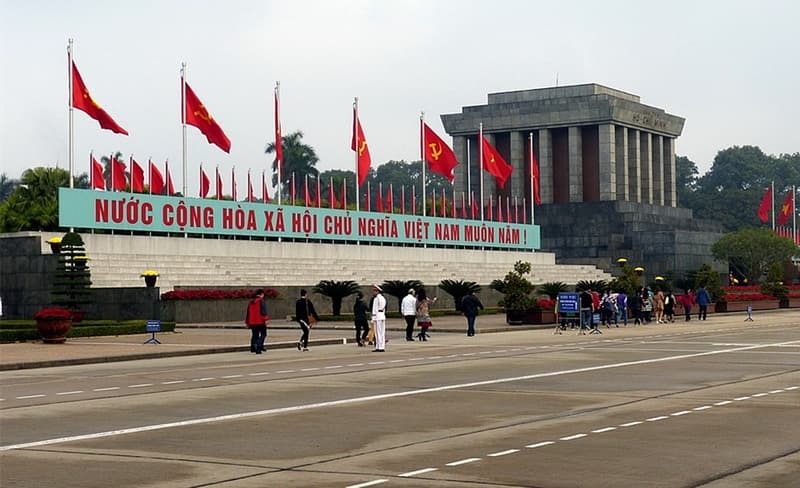 The central flag tower will be the most well-known feature of the Imperial Citadel when you stand at 40m high, which is used as a sign of Hanoi. This is the heart of ancient Hanoi and served as the political centre for 8 centuries. The Perfume Pagoda was built in the 15th century and it is an impressive temple complex. These Buddhist temples are set up in a maze of alleyways among the mountains, and the lush forest and flowing streams all around the rocks. Located 60km south of Son Mount in Hanoi, the journey itself is an experience. In advance, you have to take a car or bus for 2 hours, and then ride a boat to the foot of the mountain. 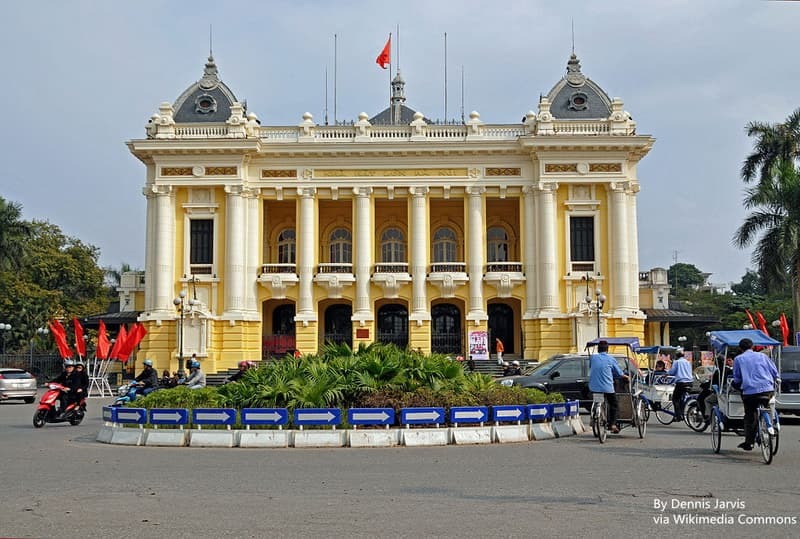 Located in the heart of the French Quarter, the Hanoi Opera House can be said one of the most elegant building s in Hanoi. Built in 1911 and modeled on the Paris Opera House, this historical landmark exudes Parisian charm from ivory columns, ornate railings and gothic domes. Vsitors can appreciate classical performances including Vietnam opera, dance and the music concerts by world-renowned artists. Ba Vi National Park is a magnificent natural reserve about 2 hours away from Hanoi's city. 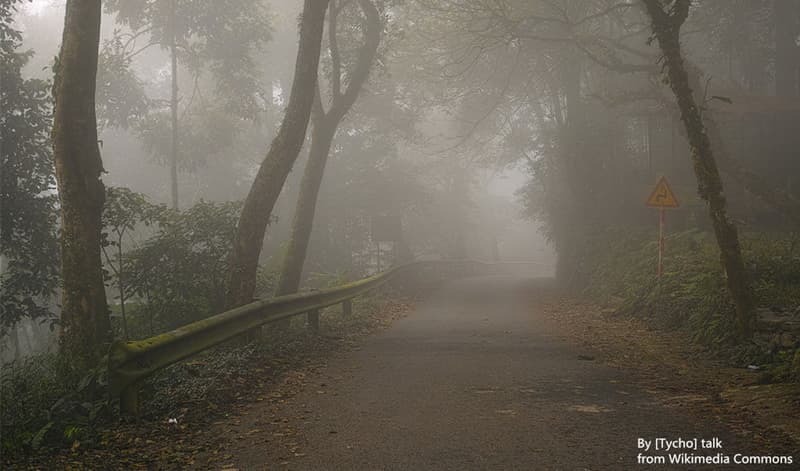 Ba Vi National Park is well-known for being covered by clouds. 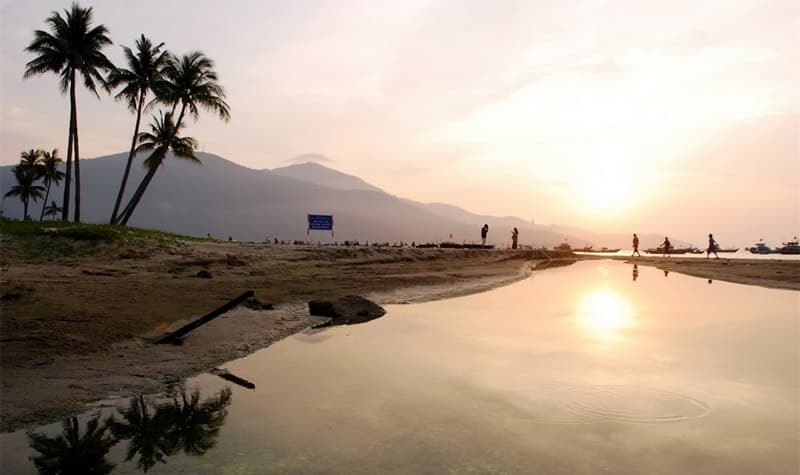 It boasts spectacular scenery and gorgeous jungle plants and animals. There is a 11th-century temple lying at the top of hill, which offers a wide sights of the surrounding village, while a natural hot spring in on the forest floor.